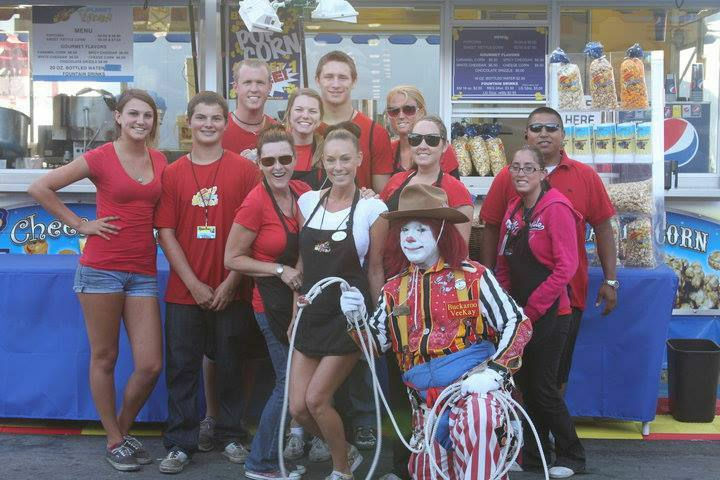 Planet Popcorn specializes in providing extremely high quality popcorn in high volume locations such as arenas, amusement parks, fairs, festivals and sporting events throughout the western United States. Our popcorn is truly gourmet, non GMO and offered in a variety of sizes and flavors. We are known by many as the West Coast’s premier quality popcorn provider. We are selective about how and where we sell our products. We pride ourselves on being truly “gourmet, and not offering our product in every retail market and convenience store available. Most of our sales have been at high volume locations such as Downtown Disney, large county fairs throughout CA, sporting arenas such as NASCAR, Oakland-Alameda Coliseum, concert venues and other large outdoor events. We have had guests tell us many times the only reason they came to a particular event was to buy our popcorn. Each one of our eleven different popcorn flavors are made using the best ingredients and our secret recipes and cooking processes ensure that every bag has that “Out of this World” taste and consistency that our guests have come to expect. Although we can provide popcorn pre-packaged, our specialty is to make it onsite. The enticing aroma makes it hard to resist. Popping fresh sweet-tasting popcorn served with a smile is a key component to generating high revenue. Our years of experience has taught us in these high- volume locations that our processes, equipment and employees must be in sync to ensure that we can keep up with the demand while still delivering our great tasting popcorn.